Yes I am still here… and it is time to update the site. I was looking at skateboarding sites and looking at the photos that they had up. 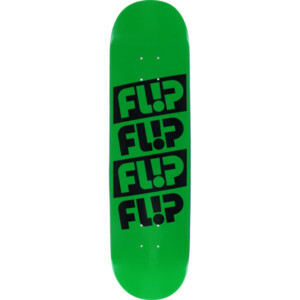 I went to the skateboard warehouse and was looking at the new flip skateboard. It is awesome. It is a quattro deck and measures 8″ wide. It is a great board and it is a versatile deck that is ready for anything that you throw at it including vert, pool, street and just cruising. It also comes pre-drilled for you to install your trucks and you wheels. I had to try this out so I picked up this board and tried it out and I have to say it was a great board. I was not disappointed with it. I took some pictures of it and I would love to take some more photos of it hope to see some people using it and I did. So I was out photographing some girls on this board. The women that were using it told me that they loved it. One even told me that it was so light it was like skating on air. It was used in the pool and on the vert and nobody had any complaints about it. The only thing that the women did not like about it was the colors that it came in. 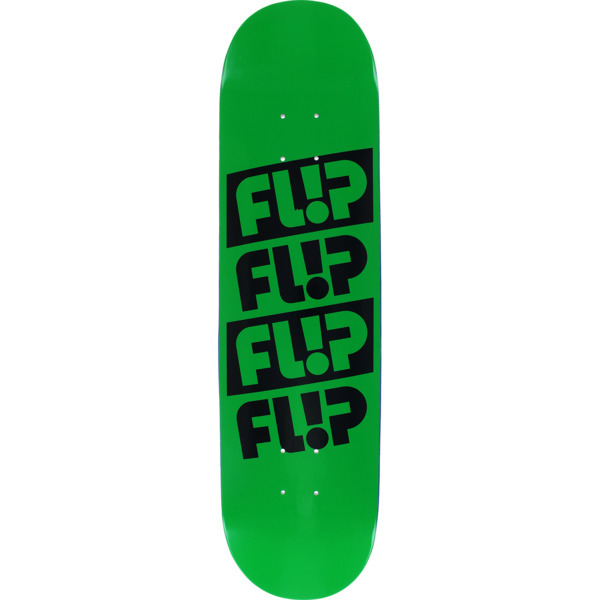 If I remember correctly it was in green and blue and the design is not that great it just says “flip”. It is boring at best and yes I agree it is a mediocre look/graphic design. The board does hold up though and the women would buy it if they needed a board. BTW on the left is a picture of Sam and she is using the Filp board and it has independent trucks with spitfire wheels and bones bearings. The picture on the right is of Joy and she is also using the Flip board and with it she has slime balls wheels with spitfire bearings. The trucks she is using are stage 11 t-hanger trucks (and yes i know their boards are filled with stickers so you really cannot see the bottom of the board). So I was out photographing and saw a fellow photographer out shooting some images for a site he was working for. His name is Jeff and is a great commercial photographer coming in from New York. I had not see him for some time and went to go talk to him. He has had some world renown photographs of commercial buildings through out the country from St. Louis to Seattle. Most of is work has been featured in Time magazine and https://www.scientificamerican.com. He told me that he was working for a new company doing pictures for a yoga knowledge site and on the same site, yoga clothes. He was working at http://yogaworkout.online and he was photographing 3 women in a newer type of leggings that I had never seen before. Asked him what he was up to and told me about his work and also asked me if I was interested in some work. I said of course and with that he told me he was going to be doing some work for Major League Baseball. He asked me to come on board so guess what I am going to be working for the MLB! As I mentioned before I have a bachelors in photography. I have photographed all over the world from China (which I just got back from 6 months ago) to Canada. With that I have photographed everything from food products to commercial items. But with out a doubt I have to say the photography I prefer to do is photographing loved ones. I started photographing with photographing loved ones about 9 years ago when I was in high school. My dad had a Nikon D200 and he let me have it. I was hooked and I started taking pictures of everything. I started with my brother and I have to say that he was not to excited about my journey into the world of photography. From there I started to take my images of my dog. That coming year I photographed my family for our yearly Christmas card in the month of October. I brought the image to our church to share and when I did some family’s approached me wanting to hire me to take pictures for there Christmas cards and with that my career started. My Dad had a friend by the name of Herb Stokes that owned a photography studio and he hired Herb to give me some lessons on photography. We started with how to use flash in photographs because I had never used it before and how to balance it with the day light or how to use it as my main light. From there we went into using different lenses and there pros and cons. Then we ended it with posing of people which is such a art. After all of this I knew that I wanted to work with loved ones. I started with baby portraits at the church in the nursery. The first week I had three family’s sign up with me for a session and it exploded from there. In the last nine years I have had at least 4 baby sessions a week because I love doing it. I also started to photograph family’s within the church before I knew it word had traveled and I was going across town to other churches to photograph their family’s. I have photographed family’s as small as three and I think the biggest family that I have photographed was the size of around 130 or so. One thing that I do with my free time is that I am a volunteer photographer at https://www.nowilaymedowntosleep.org/. Even know it is a very rewarding position it is very difficult to do. But I have to say that when I leave a hospital knowing that I have helped a family heal from there loss I have to say that it makes me feel like I have done a job wort doing. That is it my history. If you would like to hire me or if you need some more samples of my work or if you have any questions please just drop me a email and I will respond within 48 hours. When asking about hiring me for a job just remember this is my job and that my prices are non negotiable and they are what they are. Hope to hear from you soon. Copyright © 2019 Yunker Photo.